The role of the bias layer in golf shafts is to promote twisting strength, reducing torque to increase stability. The bias layer is usually laid on the mandrel at 45 degrees adjacent to 0 degree layers. 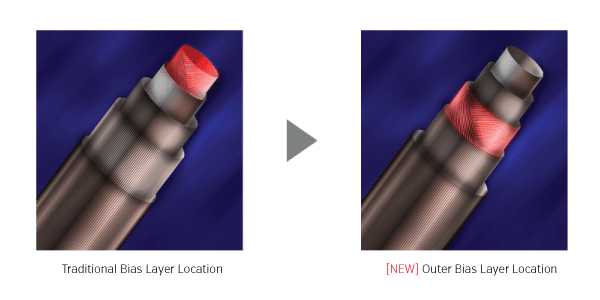 In the Speeder Evolution IV, our engineers have moved the bias layer from the traditional innermost layer and put it in between straight layers (0 degree layers) which provides a much smoother loading and feel to the shaft.